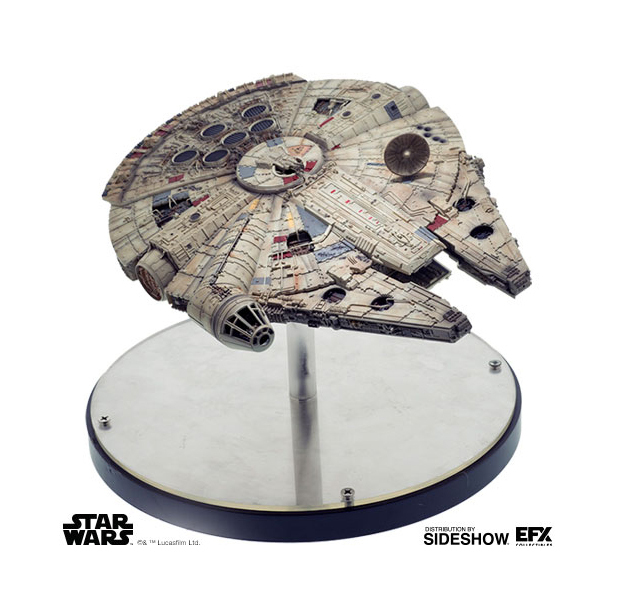 EFX Collectibles adds another premium collectible to its Star Wars line. 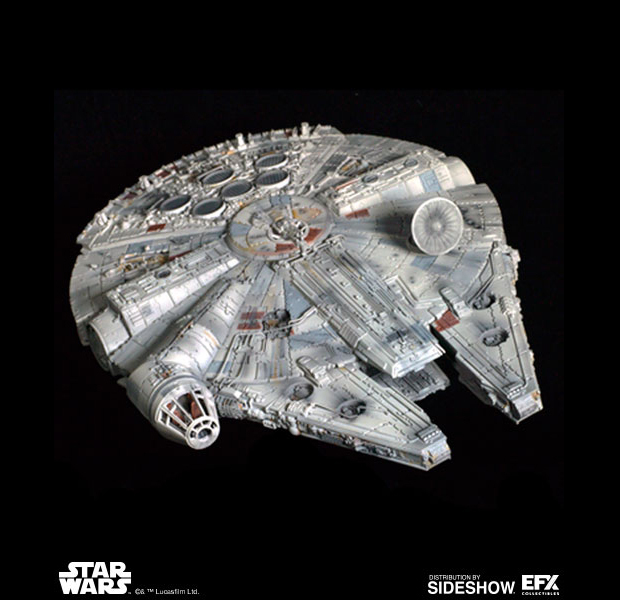 This time it’s a meticulously crafted 100th scale replica of the Millennium Falcon, made with a combination of diecast and ABS parts. 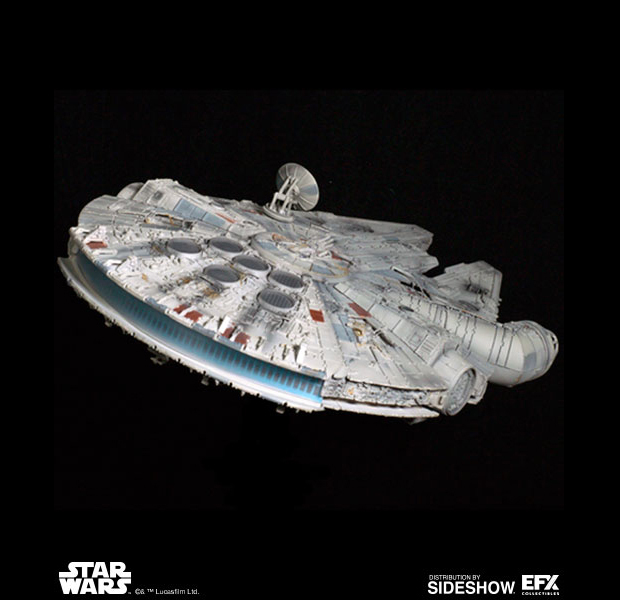 EFX claims that they made 3D scans of one of the miniatures as well as “original model kit parts” made by Lucasfilm for the original trilogy and used the 3D models as a basis for this collectible. 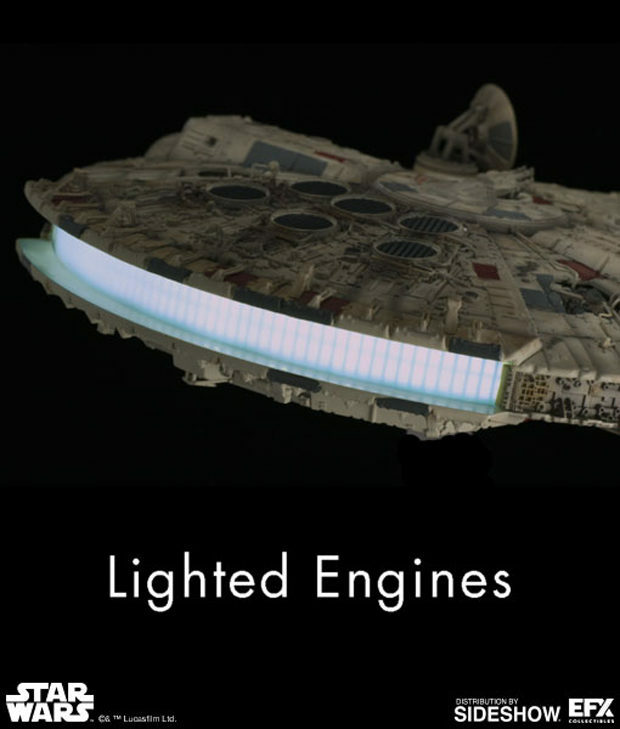 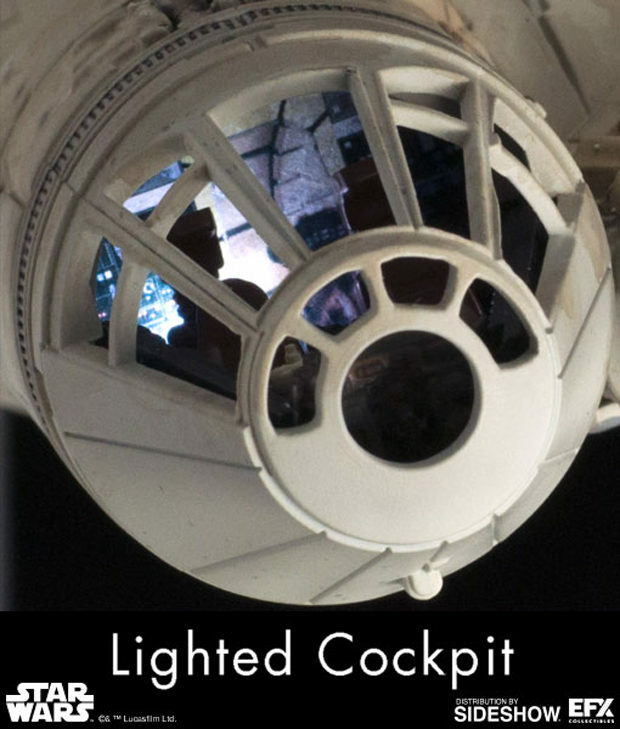 The replica measures 8.5″x 12.25″x 19″ and has lights in its cockpit, headlights and engines. 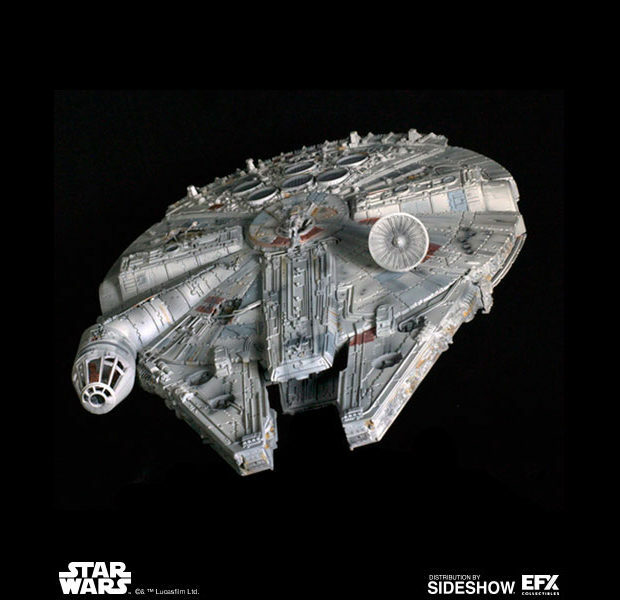 You can pre-order it from Sideshow Collectibles for $600 (USD).